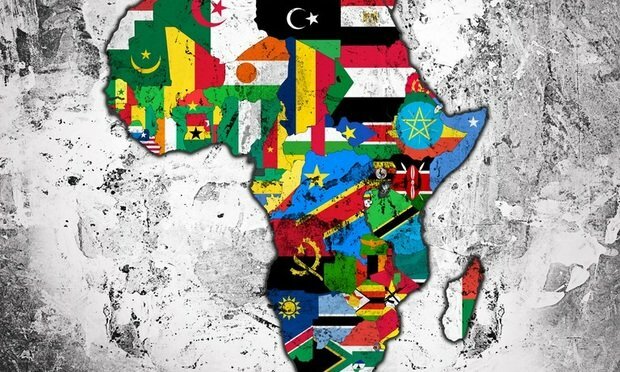 Is Africa Still the Next Big Thing for Global Law Firms? The rush by law firms into Africa has slowed in recent years, amid political and economic uncertainty. Does the continent still hold the same appeal? During the first half of the decade, the untapped potential of Africa’s legal markets attracted a steady stream of ambitious international law firms looking for the next big thing, far from the lingering effects of the financial crisis at home. In 2011, Allen & Overy became the first Magic Circle firm to establish an official presence on the continent with a launch in Morocco, followed swiftly by Clifford Chance, with Eversheds and Norton Rose also having made inroads via tie-ups with South African firms. The following year saw Linklaters seal its formal alliance with South Africa’s Webber Wentzel and Baker McKenzie launch in Johannesburg via the acquisition of Dewey & LeBoeuf’s base in the city, and firms moving into the continent since then have included Hogan Lovells, Herbert Smith Freehills, Clyde & Co and Pinsent Masons. However, the past two years have seen a marked slowdown in the number of international firms opening bases in Africa, and even new alliances with local firms are now seen by many as a potentially risky move in markets that can swing between buoyant and lackluster at the drop of a hat—or at least with every election. So how can law firms make their mark on the continent in 2018? Law firms considering a move into Africa have a variety of options—an office launch, a formal alliance or informal associations with multiple firms across the continent. But one thing most are agreed on is the importance of carefully selecting the right markets to focus on, rather than chasing coverage for coverage’s sake. “In order to deliver best-in-class advice in Africa you don’t need to plant a flag in every jurisdiction, but given the geographic size and economic diversity on the continent, you do need a clear strategy in place to focus on the right opportunities,” says Stuart Matty, global capital markets head at White & Case, which has had a Johannesburg base since 1995 and opened in Cairo in 2016. Those opportunities are currently centered around South Africa, Nigeria, Kenya and Zimbabwe, according to partners working on the continent, where recent improvements in the political landscapes have had a positive effect on prospects for business. Movement by global firms in that direction has been slow, however. “There are often rumors about foreign firms entering Nigeria, but to date, it has remained fairly closed and dominated by the local firms,” says Webber Wentzel senior partner Christo Els. That may be changing. DLA Piper Africa chairman James Kamau says that when his firm was tying up with Lagos practice Olajide Oyewole last May, their research suggested that more international law firms would be likely to follow suit. Clifford Chance’s Jennifer Mbaluto, who co-heads the firm’s East Africa practice, cautions that the opposite side of the continent presents different challenges. “A major challenge from an East African perspective is finding a local law firm with the scale and depth to cater to the client—the large independent firms would rather stay independent,” she says. According to several partners, the rise of economic blocs could serve as a focus for interested law firms looking to tap into regions with the biggest potential. Baker McKenzie’s Van der Merwe notes that East African economies have become more integrated as a region and so have attracted more international investment. “Hopefully in South Africa there will more integration going forward,” he said. As Brexit creeps ever closer, this autumn’s visit to Africa by U.K. Prime Minister Theresa May, who touched down in South Africa, Nigeria and Kenya, generated renewed interest in investment in the continent—particularly in the context of lingering “no-deal” Brexit concerns. Van der Merwe also says Brexit has prompted a change. “As a result of Brexit, we’ve seen proactive steps by trade organizations in the U.K. to find new ponds to fish in and to build bilateral relationships,” he said. However, Mayer Brown Africa head Ian Coles cautions that things may not be that simple. “I think it’s great that the PM has been down there, but we have to remember that it’s the first visit by a British prime minister to sub-Saharan Africa in five years. One swallow doesn’t make a spring. To put it into comparison, [France President Emmanuel] Macron has made nine trips to Africa—to 11 different [African] countries since he took office. Looking ahead, increasing political stability in many African countries is giving law firms more confidence in the continent as a whole, and DLA Piper’s Kamau paints a positive picture of the current business landscape from the firm’s perspective. With local elections coming up in both South Africa and Nigeria in 2019, the political landscape remains subject to change. But while the continent’s dynamic legal landscape still presents its fair share of unpredictability, partners believe the risks are worth it. • Herbert Smith Freehills, King & Wood Mallesons on $900 million Australian rail project. • Mayer Brown, Shearman on $250 million Mongolian bond sale. • O’Melveny, Paul Hastings on Chinese property developer's $189 million Hong Kong listing. • Allen & Overy, Linklaters on $1.25 billion Indian bond sale. • Davis Polk helps Go-Jek on $1 billion funding round. • Hogan Lovells, Freshfields on Asahi's acquisition of premium beer business from Fuller.